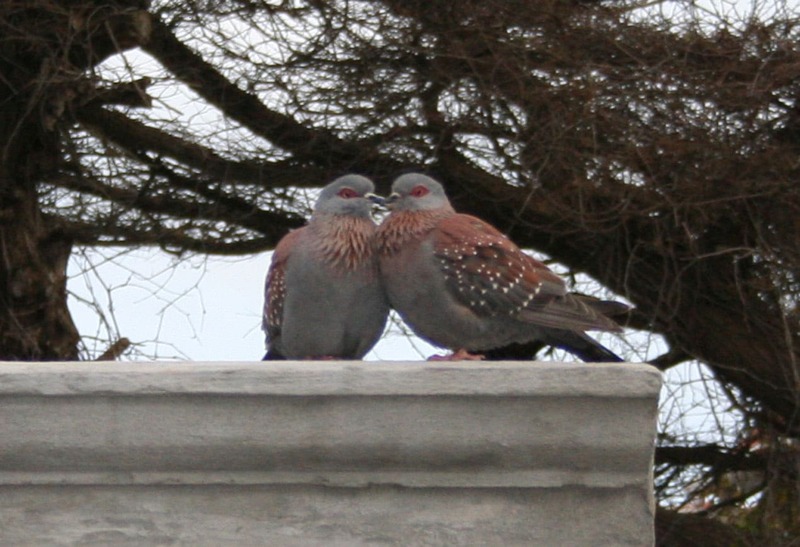 I have the cutest couple living next door to me: two Rock Pigeons. I first noticed them one evening when they were perfectly huddled around a lamp – it was a perfect picture and I wish I had taken the opportunity and snapped away. But, as always, I did not and the next day the lamp was taken down (they are doing alterations/revamping the National Monument next door) and the couple found a new place to sleep. They did come to visit but the photo opportunity had passed. Now that the lamp is hanging up-right again my fluffy neighbours are back and I am happy to see them as in love as ever tucked away under a new roof. P.S. 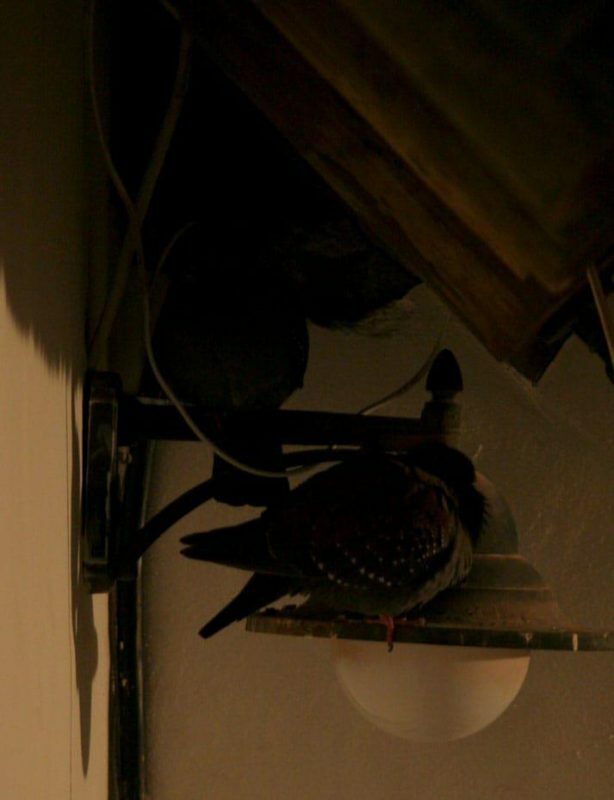 The photo would have been cuter if the lamp light was on as it used to be but they have now put a garish spot-light on the corresponding wall so there is no need for it other than novelty…and that it is the two Rock Pigeons home. This entry was posted in Blog and tagged fluffy friends, national monument, neighbours, Rock pigeons. great picture of your “neigbours” !I saw never Pigeons in such coloures.Ours here are only grey.